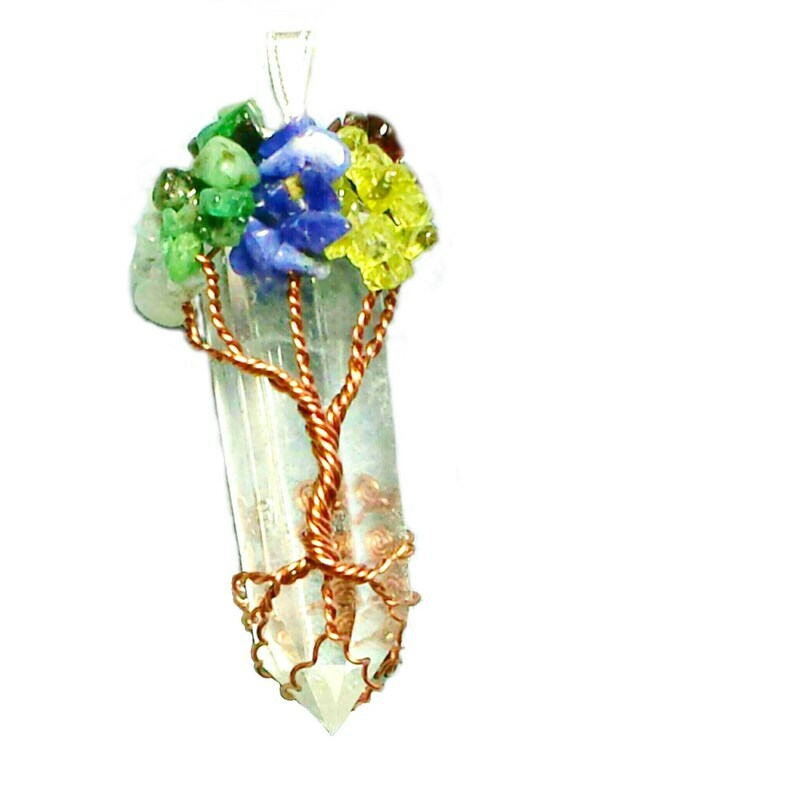 Genuine Gemstone chips are used to create your amazing Family Birthstone Tree of Life Crystal Pendant. Each pendant arrives ready to give as a gift and to wear on an 18" silver plated chain with 4" extension. I gift wrap all my orders for free. Your tree will arrive in a ribbon wrapped (so it is easy for you to peek) white swirl top cotton lined box. 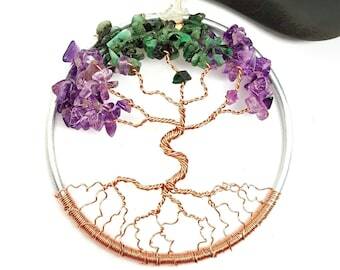 Each Tree Of Life is Made to Order, because of this please allow minimum 3 business days to create and another 3-7 for shipping, depending on the chosen method, weather, time of year, though I try my best to ship sooner. Orders are filled as they are received. 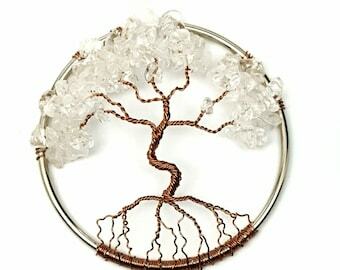 Your Tree will be made from a choice of Silver Plated, Brass, or Copper wire. 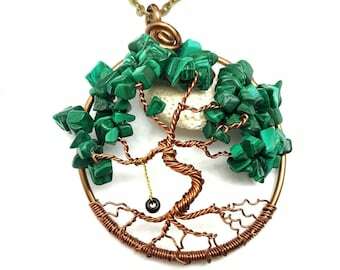 Foliage/leaves are made from Gemstones that represent the birth month. Please note in the Personalization box when ordering to specifying what months you need, and how many of each month. Also any other special instructions you might have such as birth order. Each tree takes 6-8 (uninterrupted) hours to create. Order are filled as they are received, the wait time could be up to 5 days before shipping. Please plan ahead if this is a gift. Your tree will look different, as your color choices will vary, and the birth months will differ. The pendant you design will truly be unique, and very special.